Just recently, we saw the introduction of Live Albums on Google Photos and now grapevines suggest rollout of two new options as well. Although the new features are currently open for users of India, it is expected that they will be expanded to other parts of the world soon. Google claims that many users, specifically those residing in India have trouble to back up their photos due to infrequent access to Wi-Fi. However, the Express backup feature will ensure that those users can quickly save their photos on reduced resolution even when the Wi-Fi connectivity is not optimal. "Express provides faster backup at a reduced resolution, making it easier to ensure memories are saved even when you might have poor or infrequent WiFi connectivity. ", said Raja Ayyagari, Google Photos Product Manager in a blog post. Additionally, the users can choose the regular backup option that includes high-quality or original quality resolution, when a better connection is available. Currently, the users can either backup photos on data connection or not – according to their choice. But with the new limits, they can select how many MBs to use every day from options ranging from 5MB to Unlimited. 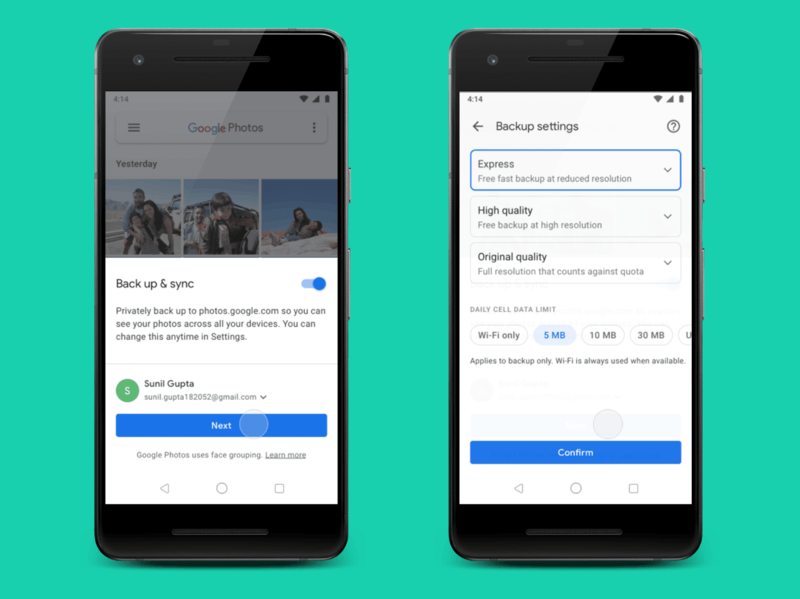 Google confirms to test out the Express Backup feature on a few India-based users in December, but now it is rolling out the full version that will be available by the end of this week. Although, Google has not yet given a timeline for its availability in other countries, do keep an eye out if you happen to catch the new feature on your mobile. And don’t forget to let us know! Read Next: Google Reportedly Working on a Highly-Requested Gmail Feature!